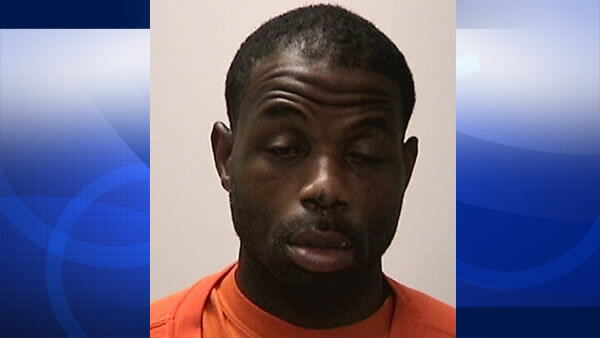 SAN FRANCISCO -- A man was arrested on suspicion of auto burglary last week after he was found sleeping in San Francisco's Tenderloin neighborhood with a loaded handgun that had been reported stolen earlier that night. Around 9 p.m., July 25, Central Station officers responded to an auto burglary in the 500 block of Market Street. The suspect, later identified as 37-year-old Lanzelle Green of Vallejo, had allegedly broken the window of a Chevrolet sedan and stolen a backpack containing a handgun and a loaded magazine. Green also stole an article of clothing, according to police. At 11:42 p.m. that night, officers were called to the scene of a "man with a gun" at a building in the 300 block of Ellis. Officers found Green asleep on a chair in a ground-floor hallway with the handgun underneath him on the floor, police said. Officers slid the gun out of Green's reach before taking him into custody. The weapon was later determined to be loaded - and the hammer was cocked, according to police. A subsequent investigation linked Green to the auto burglary on Market Street using surveillance video from the scene of the crime. He was still dressed in the same clothing, and was also wearing an article of clothing reported stolen from the Chevrolet, police said. The serial number on the loaded pistol allegedly found in Green's possession also matched the one reported stolen earlier that night, according to police.